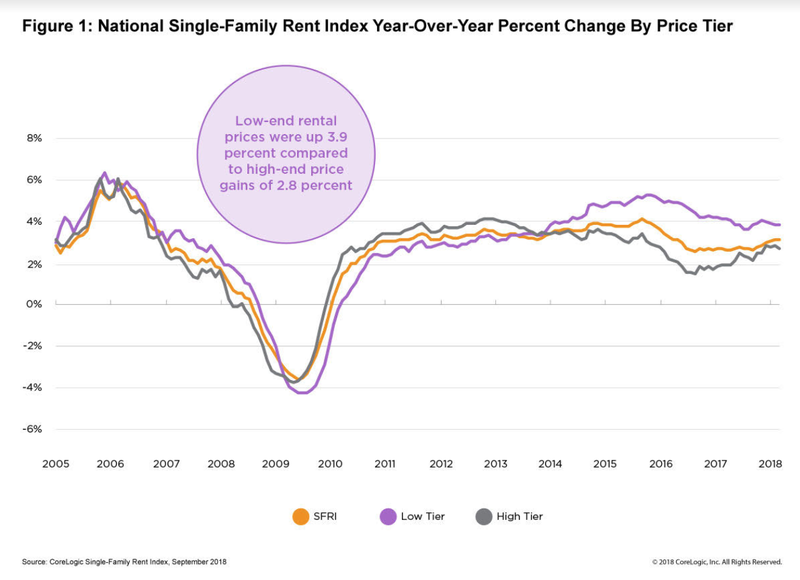 Nationwide, the cost of renting a single-family home grew by 3.2 percent in September, to an average of $1,420 a month, up from a year ago when rent had grown by only 2.7 percent, according to the latest Single-Family Rent Index (SFRI), released Tuesday. 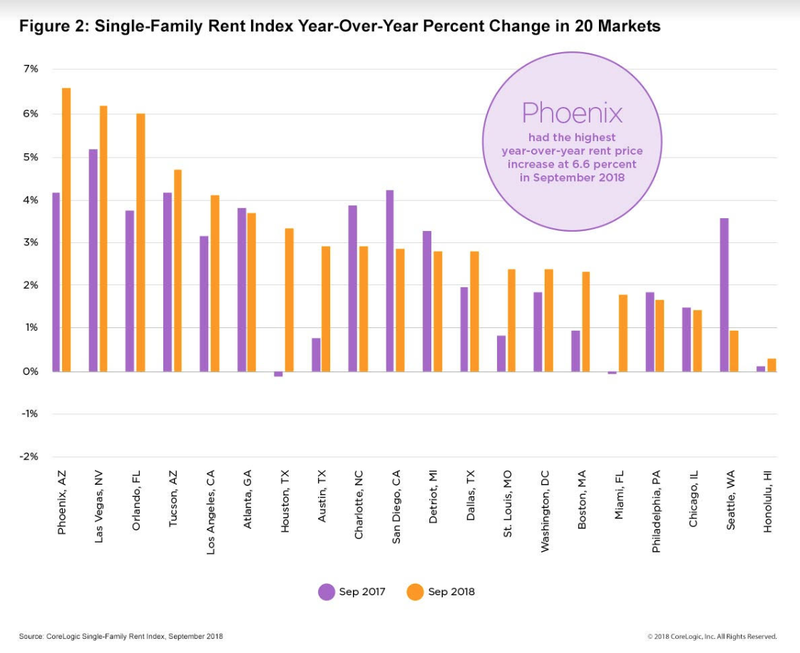 Affordable housing fared poorly, with lower-end rentals, or properties with rent prices less than 75 percent of the regional median, up 3.9 percent year-over-year. Such growth has been fueled by a strong economy and job growth nationwide, especially in cities that have absorbed a high number of young professionals. Cities that have been hit with last year’s string of hurricanes and other natural disasters are seeing some of the quickest growth in the average cost of rent — in Phoenix, rent grew by 6.6 percent while in Houston prices jumped by more than 2 percent (from 1.1% to 3.3%) in a single year. The rapid growth also appears to be happening in the West — Las Vegas and Orlando also saw their average rent prices increase by 6.2 percent and 6.0 percent, respectively. Similar to home prices, rental rates are likely to continue to increase in the coming years given current market conditions of low inventory and high demand.